Biao Teng, a Chinese human rights lawyer, was walking on a street near his home one day eight years ago when someone came up behind him suddenly, took off his shirt and covered his eyes with it, and then forced him into a car before he could make a sound. 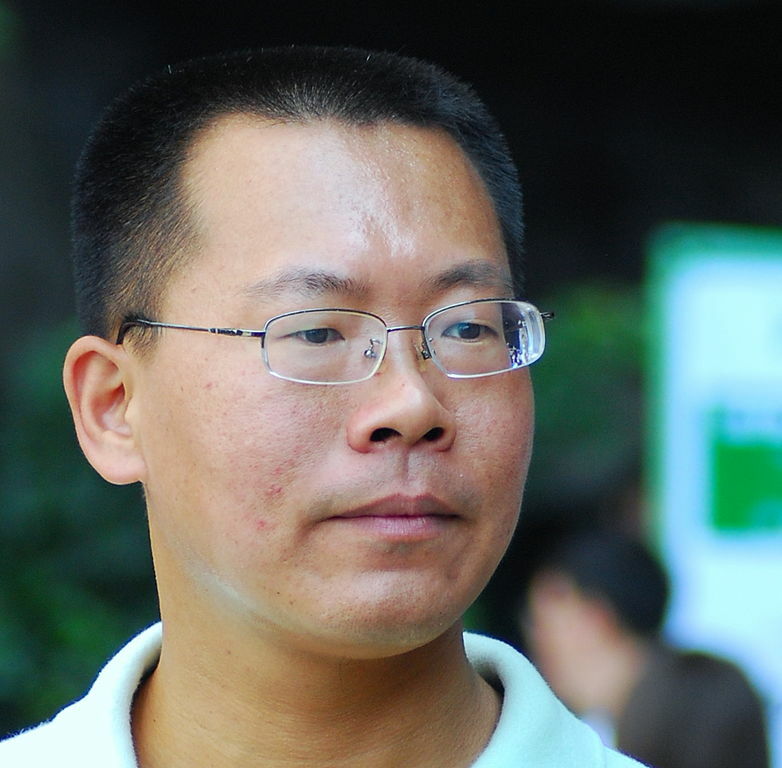 Teng was taken into custody and held for about 10 weeks in solitary confinement in retaliation for his human rights work. Among other things, he co-wrote a letter in protest of the death in custody in March of that year of a migrant worker, Zhigang Sun, who had a heart attack a few hours after being beaten in Guangzhou in Southern China. The police had brought Sun in with an administrative procedure that allows officers to detain people without a residency permit. “Before him, this happened to hundreds and even thousands of migrant workers!” said Teng in an interview. Teng grew in Jilin, a northeastern Chinese province bordering North Korea and Russia. His parents were farmers, and he always believed that studying hard and going to a university was the only way to be successful. After getting into Peking University, law piqued Teng’s interest, and since then he has wanted to attain justice for people who are denied it. He thought his dream had came true when he got his Ph.D in 2002. Teng started teaching at China University of Political Science and Law in Beijing right after obtaining the degree. He was a professor of jurisprudence, constitutional law and sociology of law. That same year, Sun’s death in custody thousands of miles away changed Teng’s life. Sun’s detention was authorized under now defunct Custody and Repatriation system set up to control population movements. At that time, the rapid economic development of some cities attracted millions of migrant workers to move across the country. Shihui Liu is also a legal scholar and a human rights lawyer who has worked in China. He explained that the policy of detaining migrant workers was built on China’s system of residency, which records household registration that identifies a person as an official resident of an area. As a result, each citizen has a residency permit or temporary living permit, just like how passport and visas work internationally. The system allowed the police to detain people if they didn’t have a permit. Sun was one of these migrants. Originally from Hubei province, he was detained in Guangzhou about 1,000 kilometers away from his home. Three days later, Sun was reported dead. An autopsy later showed that Sun was beaten 72 hours before the death, and that a heart attack took his life. The incident, reported by frontline media outlet, Southern Metropolis Daily, infuriated Teng. He immediately wrote an open letter to the National People’s Congress challenging the constitutionality of the system. Several months later, the Congress abolished the system, but Teng said that the end of the policy of detentions only marked the beginning of a war – the Rights Defense Movement had started that year. During the movement, a group of lawyers and legal scholars fought to protect the civil rights of Chinese citizens through legal activism and litigation. An active member of the Rights Defense Movement, Teng participated in many important cases as a legal scholar. He later co-founded China Against Death Penalty, the very first NGO in China that fought to abolish the death penalty. “Many innocent citizens were sentenced to death,” said Teng, who organized a team of lawyers to represent innocent prisoners. “It was very hard to see them suffering from wrongful convictions.” The effort was not wasted. Teng, along with his colleagues, rescued many citizens from their potential deaths. As more lawyers began to participate in the movement, the group became influential and started advocating for voting rights, religion rights, and housing rights. As Teng witnessed his success in fighting for democracy, he was also warned many times by the government, who considered the movement a challenge to the Communist Party. According to Liu, human rights movements encourage opposition to the government and can be a potential threat to the status quo. Things escalated in 2014, when Teng was arrested multiple times and fired from the faculty of the University of Political Science and Law. The NGO he co-founded was also shut down by the government. Teng said he was in despair, but he continued to fight. According to Liu, lawyers were detained without legal permission during the 709 crackdown. “As a legal scholar, I was ashamed to talk about laws,” added Liu. He said that nobody was able protect their legal rights during the crackdown. “During that time, the law was less valuable than a piece of napkin,” he said. The rundown of human rights lawyers in China was also reflected by the sharp increase of Chinese asylum seekers in the United States. From 2015 to 2017, the Chinese refugee population increased by almost 7 percent to 321 million, according to the World Bank. The number of asylees of Chinese nationality was ranked number one in the United States, taking up almost 24 percent of the total asylees. Right before the crackdown, in the Fall of 2014, while Teng was in Hong Kong as a visiting scholar, he was told by his colleague that he would be arrested and sentenced immediately if he went back to mainland China. Teng said he was in fear. He knew that he couldn’t go home for the rest of his life. Soon, Teng accepted an invitation from Harvard University and moved to the United States as a visiting scholar. When he was in the U.S., Teng’s wife and one of his children were under watch by the Chinese government and were banned from traveling abroad. We didn’t have any hope anymore,” he said. “So I had to smuggle them out.” The family reunited in Thailand, before they headed over to the States. Teng currently lives in New Jersey and is a board member of the Institute for China’s Transition, a non-profit organizations aiming to prepare for and facilitate China’s transformation into a democratic country.